Searching the Eatpicks photo gallery archives for something with vanilla pudding turned out to be a bust. Seems I need to make something with this ingredient in order to have at least one stock photo to use! I did however, find beautiful photos of a favorite vegetable which happens to be in season AND the focus of celebration. Did you know it was National Asparagus Month? It is; and today is your lucky day because I have a super easy roasted asparagus recipe for you to try. 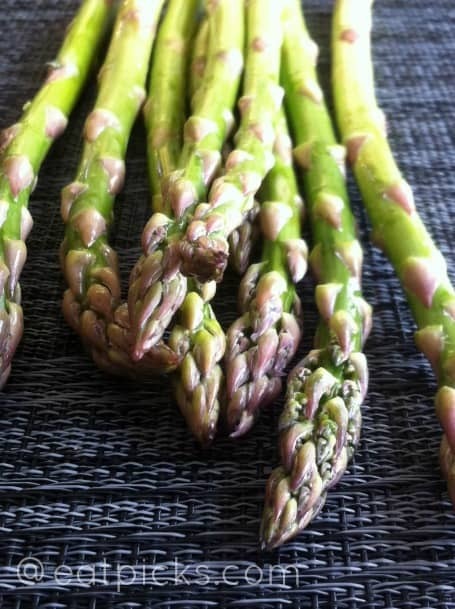 Asparagus is the star of spring gardens and is packed with quite the nutritional punch. Loaded with vitamins A, C and K it is also full of antioxidants placing it as one of the top vegetables to fight off free radicals. It is full of fiber and a good source of folate too. 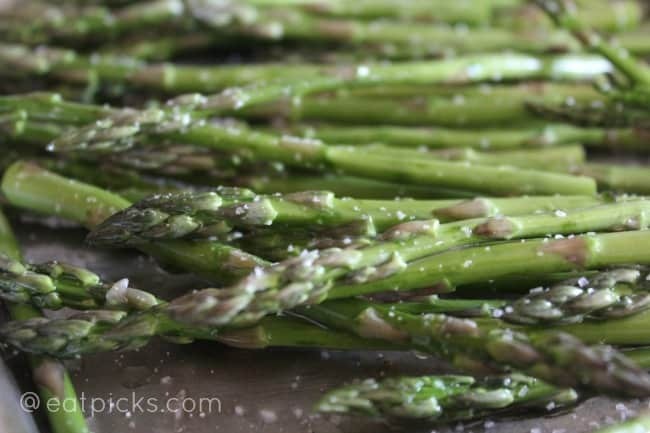 I normally made this family favorite by steaming in a frying pan with a little bit of butter- but last fall I discovered roasting and eating asparagus this way took on a whole new dimension! It was so delicious that it is now our preferred way to enjoy it with any meal. 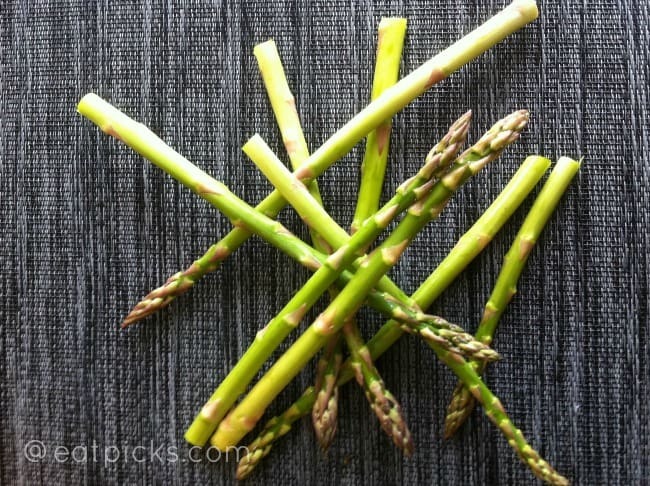 You can certainly eat asparagus raw as part of a nice veggie tray. Just be sure to buy the thin stalks as the larger thicker variety tend to be “woody” and not as flavorful. Try this roasted asparagus recipe next time you have this on the menu- I promise you will love it! To make: Preheat oven to 375 degrees. Take one stalk out of bunch and gently bend until stalk snaps. Place this piece next to bunch and using as a guide, cut entire bunch at breaking point. Place prepped asparagus on baking sheet and drizzle with olive oil. Cover with salt and pepper and give a light toss. Place in oven and roast for 15 minutes. Stir gently and roast another 5-10 minutes. Try this recipe as a side dish with Lemon Salmon Kebabs!